The spotlight captured the mischievously stylish first-ever Toyota C-HR as it made its film debut on the red carpet of People en Español's 20th anniversary celebration, Los Más Bellos, held May 16 in New York City. Toyota premiered the short film "Rapunzel" based on the Toyota C-HR commercial that will air on May 29. Press and guests were treated to a sneak peek and special Q&A session with the stars of the film, actors Diego Boneta and Lorenza Izzo. The all-new Toyota C-HR joined the red carpet action in a mirrored infinity room, providing an attention-grabbing and artistic installation that offered guests an up-close look at the vehicle while producing a cool selfie GIF shareable on social media. 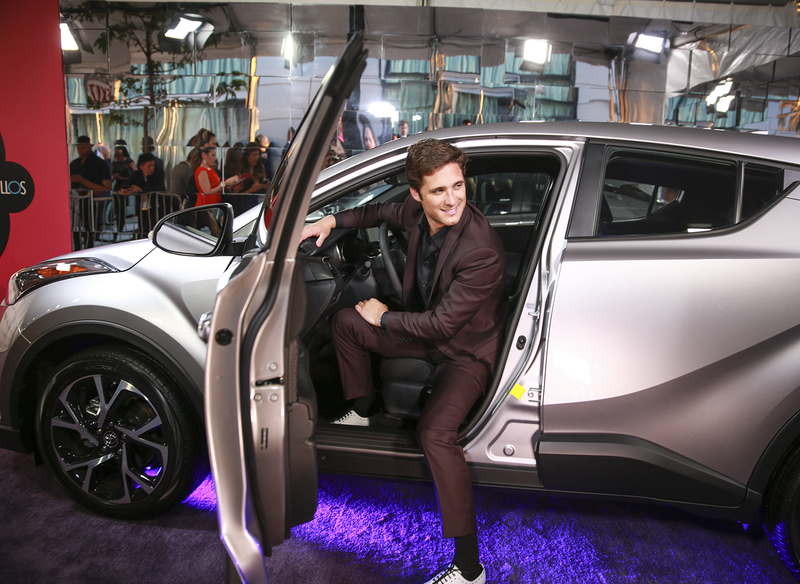 Actor Ryan Guzman joined the list of this year's 'Most Beautiful' and took part in the Toyota C-HR fun by helping Venezuelan magician Daniel Fernandez surreptitiously enter the invite-only event thanks to the versatility of the vehicle. Inside the venue, an area of the party featured the highly dynamic Toyota C-HR and projections of the fun photos that were taken in the infinity room during the red carpet. Emerging from the vehicle's roomy interior, Daniel mesmerized guests with his sudden appearance and connected immediately with the stars by sharing a few awe-inspiring magic tricks aided by the Toyota C-HR. The 20th anniversary soiree culminated on a high note as People en Español presented their inaugural "Bellos Hall of Fame" Award to Mexican singer and actress Thalía.